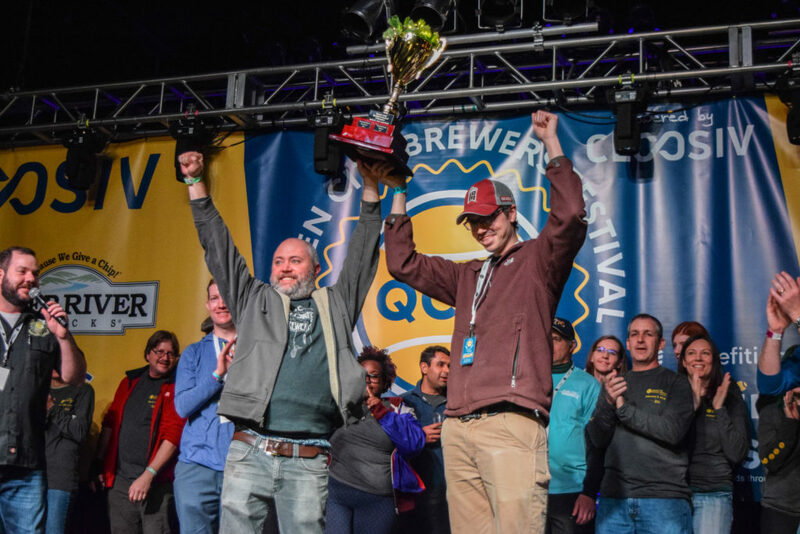 From unofficial monthly gatherings without a formal agenda in its first few years to an organized trade group title sponsoring major beer events in town, the brewery owners who make up the Charlotte Independent Brewers Alliance (CIBA) have made steady progress to both educate and demonstrate how supporting local breweries positively impacts this great community we call home. From Waxhaw to Concord, Belmont to east Charlotte; more than two dozen brewery owners and representatives have aligned to work together to educate the craft consumer on what is truly independent and locally produced, solve regulatory business challenges collectively, banding together to serve community initiatives and simply formalizing communication channels to help one another achieve success. 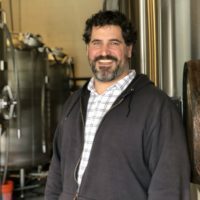 “I think it’s awesome to see brewery owners like Neil at DreamChaser’s make regular and impactful contributions to the alliance,” said CIBA board member and co-owner of Birdsong Brewing, Chris Goulet. 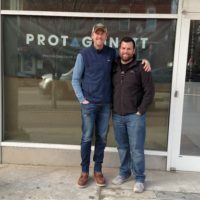 “It has to be at minimum a 40-minute drive to any taproom for him so I think that’s just one example of the importance of Charlotte’s craft breweries and cideries working closely together and communicating regularly,” Goulet continued. 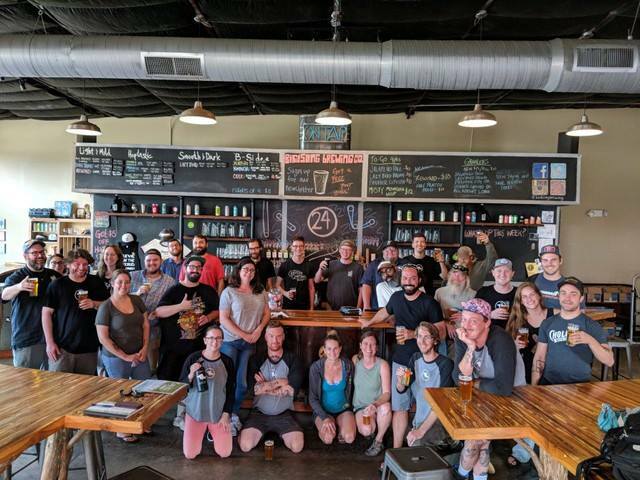 As generous participants of SHARE Charlotte’s upcoming #GivingTuesdayCLT campaign and entitlement sponsors of QCBF 2019’s afternoon tasting session, CIBA and its member breweries are becoming a more visible symbol in an ever-growing Charlotte beer market and how its united efforts are making a positive community impact. CIBA has accomplished a lot in the last year. With 2019 around the corner, what’s a major goal you’d like to see crossed off the group’s to-do list? 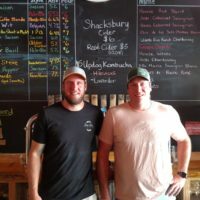 What started as a hangout session for local breweries and cideries, and now to see it become an entity that can help promote and market its members – it’s a big accomplishment. What I’m hoping to see next year – kicking off with its partnership with QCBF – is more material marketing efforts; coming away with a lot more impact from events like Charlotte Craft Beer Week; making our identity more familiar with basics like t-shirts and stickers in the market and really just getting people to realize that all the local breweries and cideries are working together to promote local craft. Long term, there’s a lot of things we can accomplish. We’d like to figure out a few tax-related rules if we can work with the counties directly and there’s all sorts of co-purchasing opportunities to reduce costs on raw materials, which especially benefits the smaller local breweries that are well below ideal ordering levels for things like malt, kegs and things like that. This fall QCBF invited over 60 breweries from the Charlotte region to spotlight local craft and support ACEing Autism’s mission in the community. What is your outlook on Charlotte’s brewery growth, and how would a greater number of aligned breweries be able to better support CIBA’s goals? I think, at least in the Charlotte market, the remaining niche to exploit is the small neighborhood-style brewery or brewpub that may not have large distribution goals given how competitive shelf space and tap space is in the current market. I’m hoping, and I’m sure I’m wrong, there aren’t going to be too many more breweries coming into Charlotte in the regional distribution space – because of how competitive it is – and not have success. 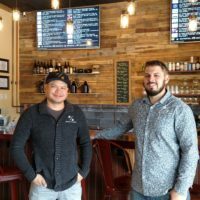 On the other hand, breweries like Town, Pilot and Divine Barrel coming into the market is really cool because it gets more and more neighborhoods to have a strong relationship with their local craft brewery. From an aligned breweries standpoint, working with organizations like SHARE Charlotte to show, as a group, we’re giving back to the community and growing CIBA brand recognition becomes more effective and with better traction when you have everybody working closely together to engage their respective taproom village. I consider our taproom customers an extension of the Birdsong family, and if every brewery and cidery in the alliance can have that type of impact at a grassroots level, it just works better. 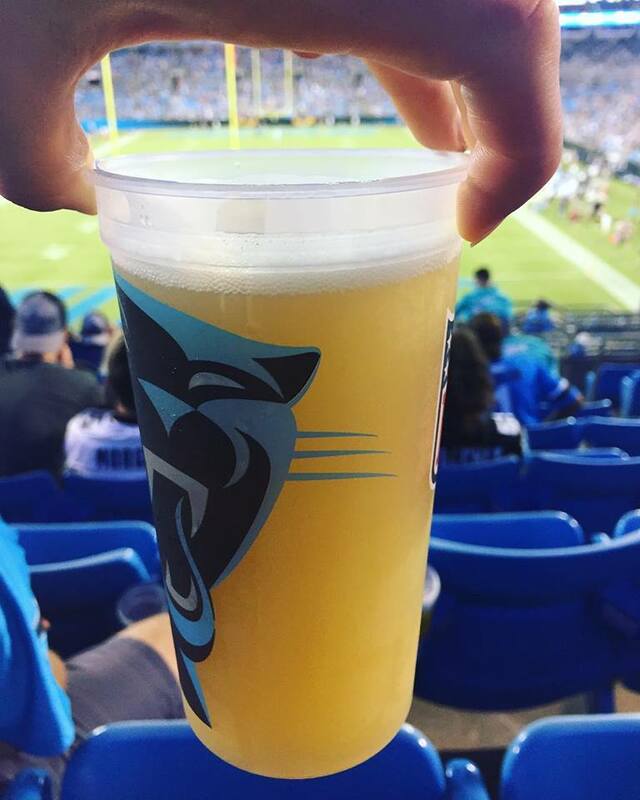 What percentage, roughly, of overall beer consumption in Mecklenburg County presently is Charlotte-produced beer, and what do you think is a realistic goal CIBA can help reach in the future? [Breaks out calculator on phone] If I’m not mistaken, Birdsong accounts for about a 0.5% share point and if we average it out with some shaky math and say each CIBA member brewery is producing 4,000 barrels per year – that’s probably not a very legit number [laughs] – then we could say about 5 to 7% of overall beer consumption in Mecklenburg County is locally produced. You’d have to check out craft beer meccas like Portland and Denver to find a market where that number is in the mid to high double-digits. I’d be happy if CIBA can help grow the share by even 1%. When you think about it; back in 2010 when it was just OMB and Four Friends and let’s include brewpubs Rock Bottom and Hops, we’re talking less than 0.1% of area consumption being local craft so from that perspective, our growth is pretty amazing. Looking ahead, and specifically as far as draft beer goes, I think the customer today is thoroughly confused. Elysian, Goose IPA, and Wicked Weed for that matter are all big sellers and AB-InBev brands, so when a customer is not informed, it makes it more difficult for an independent brand to grow its market share. When a consumer purchases beer from his local CIBA brewer, $0.90 of every dollar stays in the state – that’s an impressive nine tenths of the transaction staying at home. As co-owner of one of Charlotte’s most established breweries, what is one investment Birdsong has made that you’re most proud of? For starters, I feel like Birdsong as an employee group has grown to become a true family that is deeply invested in being active, supportive members in the Charlotte community. We’re not some massive manufacturing company where most of our expenses go toward raw materials. It’s really our employees that is our biggest investment and it’s neat to see our employees buy a home, start a family and put down roots in Charlotte because they have a stable job here at Birdsong. Capital investment-wise, last year we were able to put a big solar array on our rooftop so it’s really neat to be able to generate our own electricity. Bonus question: if/when a CIBA-wide collaboration beer is to be unveiled, which beer style would you say best represents Charlotte beer? Well, Charlotte’s an IPA town so we’ll force OMB to make it [laughs]. But to be honest, once you get past three “chefs” in a collaboration it gets to be chaotic so a CIBA-wide beer would be insane.